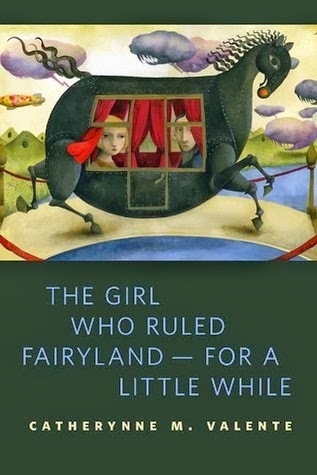 This original short story tells the tale of how a girl named Mallow defeated King Goldmouth with the help of the Red Wind, Mr. Map, and many fairyland friends new and old--from Catherynne M. Valente, author of the children's fantasy sensation The Girl Who Circumnavigated Fairyland in a Ship of Her Own Making. Such a vivid, creative, and beautiful setting. Mixed with some great characters and adventurous story-building, this is one fantastically magical short story. So descriptive, it feels like you can imagine Fairyland as if you could see it clearly. I just hope Mallow makes good decisions with her new-found power. Provided it continues throughout the series. Which I can't wait to read on!